A 17-year-old designed a pretty impressive tribute to Stan 'The Man'. Some folks are just a bit more skilled in the arts than the rest of us. St. Louis Cardinals fan Connor Wright is one of those individuals, as he decided to create a mural paying tribute to all-time Cards great Stan ‘The Man’ Musial. However, Wright – a senior at Priory school in St. Louis – opted to go above and beyond in his effort…so he used 5,980 Rubik’s Cubes (!) to put together the mural, which spans more than 200 square feet. 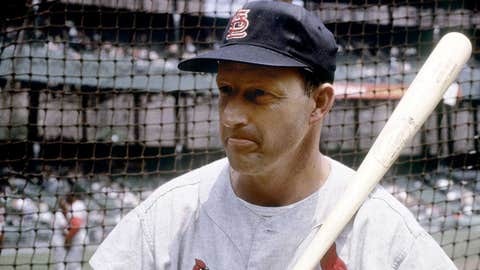 As far as fan tributes to athletes go, this one ought to be tough to beat – in terms of how long it took and how it was assembled, Wright’s Musial mural is simply a cut above.